Ado Awaye, a quaint little town in Oyo State is a throwback to the earlier times of Nigeria. Looking at some places around town, you may think you have arrived at a Nollywood set which is characteristic of many villages in Nigeria. You see goats sauntering lazily around, displaying their sure-footed nature as they climb and skip on piles of chopped firewood, boulders and rocky outcrops, while half-naked children play with sand in front of their houses and women in wrappers cook over firewood set with three stones. A very conspicuous sight in Ado Awaye is the Oke-Ado Mountain which magnificently acts as a backdrop for the village. From its foothills, Oke-Ado Mountain is a spectacle to behold. Rocks and lush vegetation can be seen everywhere and a sudden calmness felt. Mosses (Bryophtes) can be seen covering the rocks and some of the broken stairs. Every step taken that wound round the side of the hill offered a view like no other. Our walking sticks came in very handy, acting as leverages and strong supports as we ascended the steep mountain slope. At our first stop, we are greeted by a huge Ishage rock boulder standing like a sentry. One can’t but wonder how this rock simply stands alone, majestic and white-washed with the sun’s ray bathing it while the blue sky framed it. As one looks over the hill into the valley beneath, one’s breadth get’s hitched at the breath-taking view of endless lush land, verdant greenery and the roof tops of many houses in village hamlets. The view is so spectacular- a charming mosaic of villages, forests, mountains and soaring blue clouds. Each view of the valley presented beautiful green scenery interspersed with the copper hues of roof tops. No two views were the same. In the forests skirting the sleepy Ado-Awaye village beneath us, we could spot a low-lying rock which outcropped from the surrounding vegetation. It’s relatively flat top appeared alive with activities. Heaps of raw and peeled cassava tubers laid at one side while a set of open, water-filled structures occupied another part of the hill. The tour guides referred to them as “Iko” and described them as the place where yam powder is made before packaging in bags and transportation to the nearby markets. The higher we climbed, the more spectacular the spread before us. At one edge of the mountain top, we could see Iseyin road, glistening in the mid-day sun as it bounces and leaps northwards into Ebedi Hills at the farthest skyline. We could also see Iseyin town (about 30minutes drive, north of Ado-Awaye town) sitting at a corner of the skyline with a part of the town tilting upwards at it leans on a hill side. At another part of the mountain top, using binoculars, we could see a small segment of the great Ibadan city at the farthest point where the earth and sky meet. On the mountain itself, vegetation composed of short trees and shrubs gives canopy cover and shade in some areas while at other places, stark rock formations is all you will find. The variant vegetation type on the mountain adds character to the mountain. However, although plants grew in pockets at different parts the mountain top, we did not come across any man-made cultivated pocket of land. The beautiful Iyake suspended lake casts another inexplicable allure to the wonders of Oke-Ado. It is an irregular shaped lake reposed in solid rock, with tufts of grass growing inconsistently around its banks. One edge of the lake is set with short trees that cast shade for the lone traveler or hiker on the mountain. It doesn’t matter where the picture is taken from, the lake stands picturesque, with palpable tranquility. The grounds we walked on are also not left out. There were times we came across small round or oval holes/pockets of stagnant water. It is said that this holes where once used to pound yam and cook in ancient times when the people of Ado lived on the mountain. Shards of clay pots could also be seen in different parts. Oke Ado Mountain, though challenging to climb, is increasingly rewarding with each step up its slopes. The panoramic views encircling the mountain are, simply put, priceless! It has all photography buffs clicking away at their cameras’ shutter button. Its charm is a reminder that the beauty of nature, untouched by the poisonous hands of man is indeed spectacular, healing and breath-taking. – A peep at the village of Ado-Awaye as we hiked up on the mountain. – The tour guides referred to them as “Iko” and described them as the place where yam powder is made before packaging in bags and transportation to the nearby markets. – Iseyin road, bouncing and leaping northwards as it winds into Ebedi Hills at the skyline. – We could also see Iseyin town (about 30minutes drive, north of Ado-Awaye town) sitting at a corner of the skyline with a part of the town tilting upwards at it leans on a hill side. – A small village nestled within the landscape. Adedolapo George is a vibrant member of the Naijatreks Team. She is a Zoologist, Social Media Manager, Foodie and Photographer. She is an avid learner and traveler. Seeing the world beyond the stereotype is her ultimate motivation for whatever she does. 'Naijatreks' is a product name registered under the Ntreks brand, which is also duly registered by Nigeria's Federal Corporate Affairs Commission. The contents on this blog are re-usable. However, it must be ensured that it is linked back to this blog, and correctly attributed to Naijatreks. Please do not edit, rewrite or commercialize the original works on this blog without direct and written permission from the Founder (Folarin Kolawole). For inquiries and advert placement on the blog, kindly contact us at info@naijatreks.com or naijatreks@gmail.com. @Tochukwu…awww, orry about that. 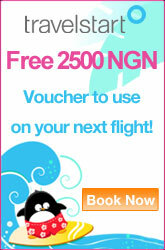 I hope you’re not also gonna miss our upcoming trip to Ondo-Osun? I just got back from roaming Southern Nigeria. I must make it to at least 1 NaijaTreks trip this year. Please quickly post the photos of the ondo-osun trip…I can’t wait to see what I missed loll. I should take a trip to this mountain. Been a while I took some mad landscape shots.